Accufirst, an accounting firm/tax offices, specializes in clients who are experiencing problems with the IRS. 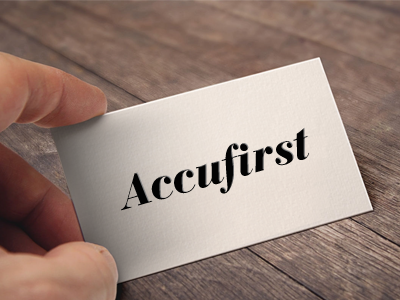 Accufirst utilized a customized File Maker solution to summarize its client information, including calls and documents. This system was not scalable, was difficult to service and did not integrate with Microsoft Outlook. It was important for Accufirst to accurately track hours spent on a project because it required an up-front retainer from its clients and when the limit was reached, the project ceased until further payment. As requested by Accufirst, Automation Centre integrated Project Tracker with Outlook Journal providing Accufirst with a journal view of customer activity. Accufirst can also export its prospect contact list into Excel. Accufirst was also able to leverage its existing Microsoft Outlook infrastructure, saving it money and resulting in near zero training, impact and high acceptance. Project Tracker also allows remote access for Accufirst"s three offices and flat fee and hourly billing. TrackerOffice has helped us to organize our office in a way that has made Accufirst significantly more responsive to our clients and dramatically improved our organization's production. With Project Tracker, Accufirst now has a paperless system. Project Tracker serves as a central repository for client information, including e-mails, scanned documents, and call information. With the integration of Project Tracker with Outlook Journal, Accufirst can track its staff"s work on matters and their time spent. It can also easily assign tasks to the staff and the tasks automatically appear on the employee"s personnel calendar. Accufirst can also continue to utilize its customized Word documents. Most significantly, Project Tracker has improved Accufirst"s customer service and satisfaction with its clients with access to e-mail as evidenced by the President"s quote at the top.